This pathway stimulates a critical awareness of the operation of international environmental law and policy, and features a particular focus on topics that are perceived to be controversial or in a state of evolution. You develop a sound knowledge and systematic understanding of the institutional structures, key principles of law and policy, and the contexts within which international law operates. You study the theoretical, social, political and scientific perspectives that underlie the substantive areas of law, as well as the practical situations in which international environmental law operates. Graduates of the LLM take with them the knowledge and expertise required to pursue a professional or academic career in this contemporary and developing discipline. Students can choose to spend one term (either Autumn or Spring) at our Canterbury campus and one (either Autumn or Spring) at our Brussels centre (returning to Canterbury to complete the dissertation) under our split-site option for this programme. The split site option is charged at a different rate. Please see under Fees below for more information. Programmes at our Brussels centre are offered primarily in International Law and Human Rights Law. Students are responsible for organising their own accommodation in Brussels. Please contact the University's Accommodation Office for information about the availability of short term accommodation in Canterbury. Studying for a Master's in Law (LLM) at Kent means having the certainty of gaining an LLM in a specialist area of Law. The Kent LLM gives you the freedom to leave your choice of pathway open until after you arrive - your pathway being determined by the modules you choose. 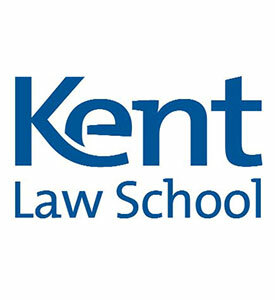 Kent Law School (KLS) is the UK's leading critical law school. A cosmopolitan centre of world-class critical legal research, it offers a supportive and intellectually stimulating place to study postgraduate taught and research degrees. The Law School offers its flagship Kent LLM at the University’s Canterbury campus (and two defined LLM programmes at the University’s Brussels centre). Our programmes are open to non-law graduates with an appropriate academic or professional background who wish to develop an advanced understanding of law in their field. You study within a close-knit, supportive and intellectually stimulating environment, working closely with academic staff. KLS uses critical research-led teaching throughout our programmes to ensure that you benefit from the Law School’s world-class research. In the Research Excellence Framework (REF) 2014, research by Kent Law School was ranked 8th in the UK for research intensity. We were also ranked 7th for research power and in the top 20 for research output, research quality and research impact. An impressive 99% of our research was judged to be of international quality and the School’s environment was judged to be conducive to supporting the development of world-leading research. Kent Law School is one of the leading law schools in the UK; we are ranked 14th in The Times Good University Guide 2018, 15th in The Guardian University Guide 2018 for law and 19th in The Complete University Guide 2018. The Law School has an excellent international reputation; ranked 50th in the Times Higher Education (THE) World University Rankings for law 2018, it is also listed amongst the top 100 law schools in the world in both the QS World University Rankings by Subject 2017 and the Shanghai Ranking’s Global Ranking of Academic Subjects 2017. The fees for the Canterbury-only delivery of this programme are the same as those for the standard LLM programme. However, fees for our split-site option (which is taught in Canterbury and Brussels) are charged at a different rate. Please refer here for the current fees for the split-site 90 ECTS option. The University has a generous postgraduate scholarship fund in excess of £9m available to taught and research students studying at Kent. There are also scholarships specifically for Law School students including a Taught Overseas Scholarship and Taught Home/EU Bursaries. Kent Law School has also established a major fund to support students who are from or who have studied in Kenya, Nigeria or Thailand, and who undertake a Master's in Law (LLM) at the Canterbury campus of the University of Kent. Most programmes will require you to study a combination of compulsory and optional modules. You may also have the option to take modules from other programmes so that you may customise your programme and explore other subject areas that interest you. Our current module handbook is available to download on our website. The modules are indicative of those offered on this programme. This list is based on the current curriculum and may change year to year in response to new curriculum developments and innovation. The postgraduate programmes offered within the Law School are usually taught in seminar format. Students on the Diploma and LLM programmes study three modules in each of the autumn and spring terms. The modules are normally assessed by a 4-5,000-word essay. Students undertaking an LLM degree must write a dissertation of 15,000 words. Employability is a key focus throughout the University and at Kent Law School you have the support of a dedicated Employability and Career Development Officer together with a broad choice of work placement opportunities, employability events and careers talks. Details of graduate internship schemes with NGOs, charities and other professional organisations are made available to postgraduate students via the School’s Employability Blog. Kent has an excellent record for postgraduate employment: over 96% of our postgraduate students who graduated in 2015 found a job or further study opportunity within six months. Information about the internship programme for LLM students can be found on the Kent Law School Employability blog. Visit the Law (International Environmental Law and Policy) page on the University of Kent website for more details!